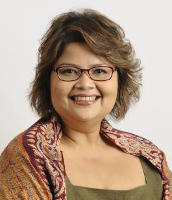 Farah Jaafar-Crossby is the Chief Executive Officer of Labuan IBFC Incorporated Sdn Bhd (LIBFC Inc.), the official promotion and marketing agency for Labuan International Business and Financial Centre (Labuan IBFC) since January 2018. She assumed this role after more than three years as the Director of Market Intelligence and Strategic Communications, in LIBFC Inc. Farah, a seasoned communications professional, brings with her more than 20 years of experience in capital markets and the wholesale financial services sector, putting her in good stead to promote Labuan IBFC as the preferred midshore jurisdiction in Asia Pacific. Farah was formerly attached to the Asian Institute of Finance and Bursa Malaysia, where she was involved in senior market development and strategic communications roles. She also managed the Association of Stock Broking Companies Malaysia, the industry lobby group representing Malaysian stockbrokers, allowing her a unique insight and hands on experience with issues surrounding multiple stakeholder management. Farah has a LLB (Hons) from Sheffield University, United Kingdom.